Design and styling by ELK Prints. Photography by Nikki Fitt Photography. Celebrate the wonder, quirkiness and joy of your child’s personality. Delight your child – and your guests – with bespoke hand painted invitations, party decorations and party bunting. You choose the colours, the theme, the subject, the feel. Let your imagination soar. Childhood is so fleeting. Capture the moment, and create a memorable, meaningful celebration that will be remembered for years to come. You can choose the fully customised approach, with each invitation lovingly painted just for you, and you receive the original artwork. Or you can keep things simple, with an original design that I reprint for multiple invitations. 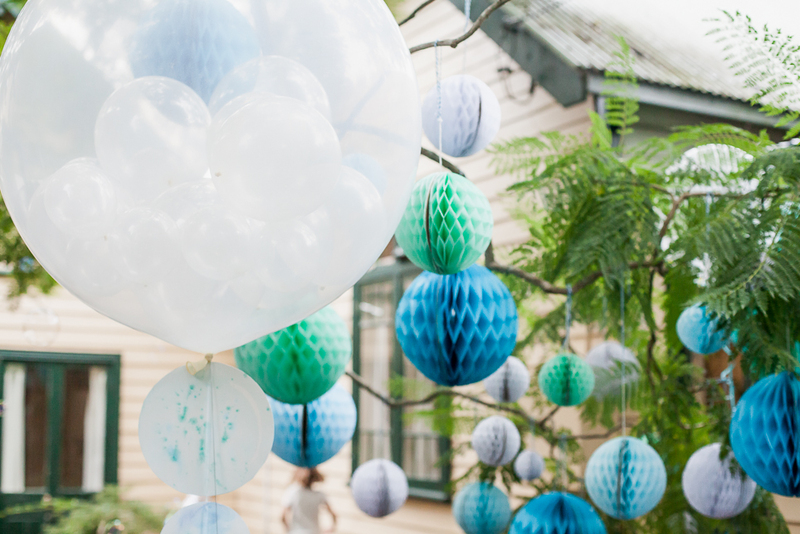 Create an event to remember, with hand-painted watercolour bunting, wall decorations, table settings and more. You can also choose from a selection of my previous children’s party designs. These existing designs give you a convenient way to quickly add a touch of artistry to your child’s party. I create exquisite styling for children’s birthday parties. Talk to me about developing a bespoke design that captures the spirit you want for your party. We can create a personalised theme, and bring it to life with beautiful decorations. Design and styling by ELK Prints. Photography by Amelia Soegijono Photography. Because you receive the original artwork when you order a Party by ELK Prints design, our party pieces make exceptional wall art. Many of my clients continue to use these party pieces afterwards as bedroom and nursery decorations, as a beautiful reminder of that special occasion. I also paint bespoke nursery wall art and toddler flashcards. These include animal alphabet flashcards, Australian animal flashcards, woodland animal flashcards and custom flashcards (which make gorgeous gifts). Find out more about the beautifully evocative designs I can create for your child’s party. Get in touch. 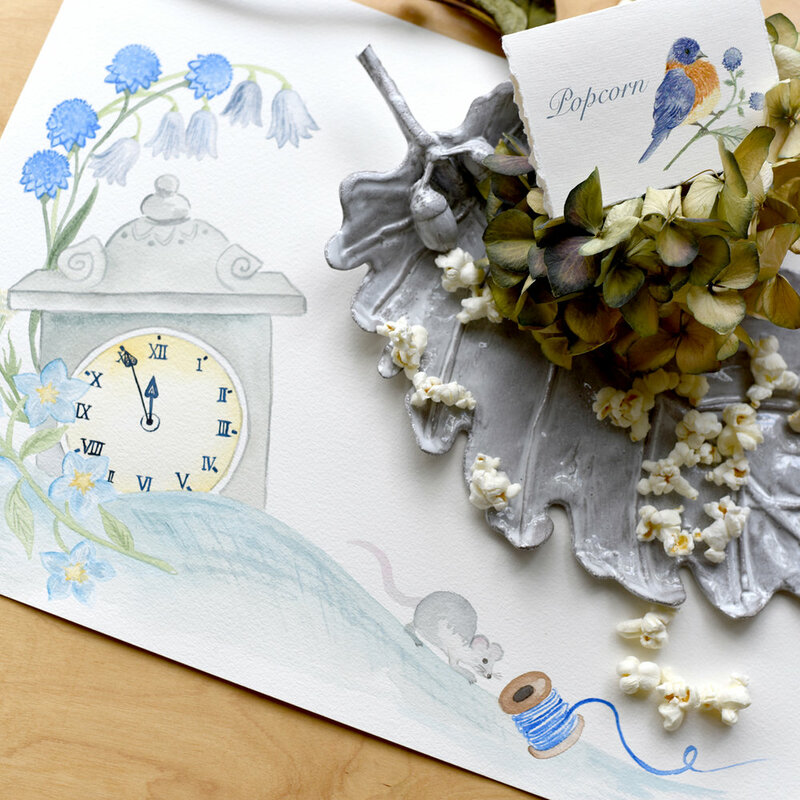 Custom illustrations and event paperie for a Cinderella themed party.